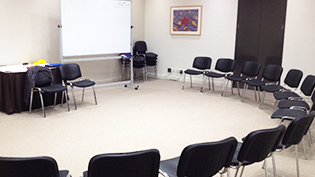 Visit The Healing Workshop page for the next scheduled dates in Melbourne (optional). Register with a bank transfer payment (save $40). Includes attendance to 4 x The Healing Workshop. Includes 20% discount on all individual modules. Credit card or PayPal. Includes 20% discount on all individual modules. This program is one of the most advanced and comprehensive master level courses in energy healing / Reiki internationally, and it is designed to facilitate an even deeper personal and spiritual development journey. The energy activations and teachings in this program provide access to higher levels of healing energies, more advanced energy healing skills, the ability to pass on energy activations to others, further intuitive and spiritual development, as well as manifestation and energy clearing abilities. 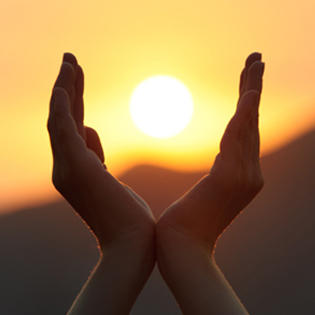 This Melbourne Reiki / energy healing program offers an affordable, intensive and comprehensive energy healing journey, combining many popular and powerful energy systems, including Ashati and Reiki. 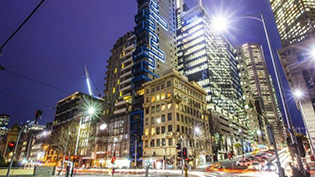 This insightful and inspiring Melbourne Reiki / energy healing course will give you all the knowledge, healing energies, practice, confidence and support you need to start and fast-track your healing journey, your spiritual growth, your psychic development, and to even obtain professional skills as an high-level energy healing practitioner and / or teacher, if you wish to work in this field (which can also complement other modalities such as massage therapy, counselling, psychotherapy, meditation, teaching...). 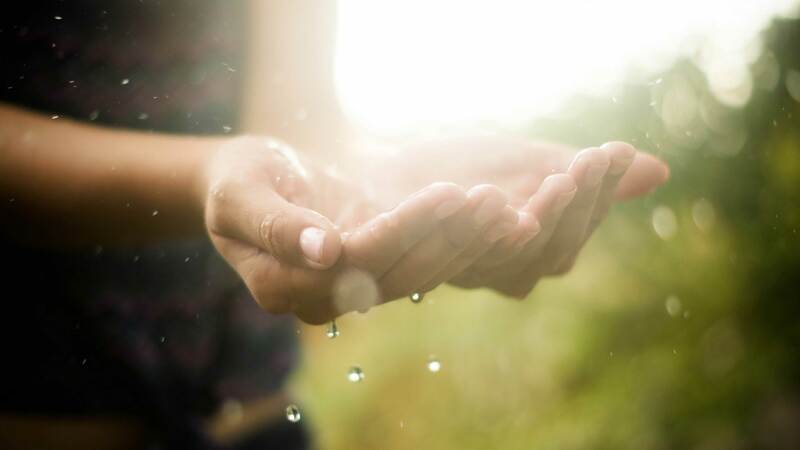 Like the Melbourne Reiki Healer Training, this Melbourne Master Training course is centred on your personal journey and first-hand experience of Ashati, Reiki and energy healing in general. 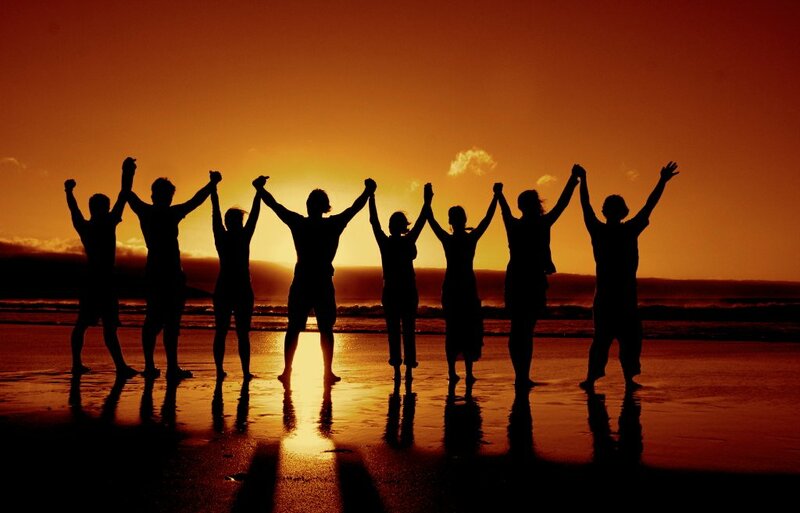 Through comprehensive training and this work on yourself, you will learn new techniques and acquire additional knowledge and experience to practice energy healing, whether it is to help friends and relatives, or to start or develop a professional practice. There are no exams, tests or assignments. However, expect a lot more personal and spiritual development for yourself as you embrace new levels of energetic development and gain access to even more powerful healing energies. This insightful and inspiring Melbourne energy healing course will take your healing abilities, psychic skills and spiritual development to much higher levels, whilst increasing your confidence and creating deeper and even more amazing changes to your chakra system and energy bodies. You will receive many higher-level energy activations to tremendously boost the power of your healings, and to enable you to work on all the levels of your body and mind. You will also receive unique information about the make-up of our multi-dimensional universe, being and mind. This Master Training is ultimately focused on spiritual development and reconnection to much higher levels of intuition, inner guidance, psychic abilities, healing energies, etc. Most of the more "intense" healing work (and the possible associated symptoms) has usually been integrated before getting to this level. This program is therefore usually felt as easier to integrate, and more about re-aligning with an even higher aspect of yourself and our universe, something often felt as an inspiring and insightful journey. Whether you wish to deeply further your own personal development and spiritual growth, take your healing practice to the next level, start offering energy activations (as part of your professional healings, enabling your clients to perform self-healings between appointments) or teach workshops, this is one of the most powerful, life-changing and yet affordable investments you can do to improve yourself and your whole life. If you are considering working in energy healing, this program is especially recommended in order to acquire higher-level practitioner skills, and it is an essential qualification in order to become a master-teacher and train others (professionally or simply to help friends and relatives). • A discount on all the courses included in this program (already applied). • Access to all the course content, plus additional videos and other content. • Interactive workshops in your city or plan a retreat getaway and travel to another location. • Practical workshops with insightful and fun activities based on healing and psychic development. • Amazing meditations full of energy work, energy sensations, connection to guides and much more. • The ability to channel and feel intense energies flowing out of your hands for healing. • Unique further development opportunities towards advanced levels of energetic ascension and spiritual development. • The ability to join a worldwide and progressive energy healing network. 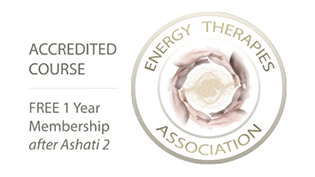 • 1 year FREE membership (after Ashati 2) with the Energy Therapies Association. Some of the other benefits of this empowering and life changing Melbourne Reiki / energy healing course include relieving stress, quietening the mind, healing the physical body, releasing repressed emotions, breaking negative patterns, developing intuition, understanding how thoughts create reality, discovering ancient and modern energy healing systems and ways to tap into the latent power of your psyche. Each level includes an energy activation, which is a profound healing and spiritual experience. These will energetically expand your chakra system as well as activate a new level of energetic development and / or a connection to a specific healing energy that you will then be able to channel during energy healings and meditations, for yourself and others. Each energy activation is followed by a deeply transformative 21-day integration period during which it is recommended to practice daily short self-healing meditations at home, with the assistance of an optional guided meditation track (provided as part of ASHATI 1). Energy activations are often rich in sensations, profoundly relaxing and inspiring. They are the key to the amazing personal development, spiritual awakening and accelerated healing that most notice straight away when embarking on this energy healing / Reiki course in Melbourne. Energy activations scheduled over distance through the Ashati Institute are performed live by Jerome Baudel at your chosen time. More Information about Energy Activations. A life of travel, learning and self-discovery has led Kate to realise her calling to serve, guide and heal others. Growing up in New Zealand, she was fortunate to live a natural and free life in beautiful surroundings, eating fresh, organic home-grown fruit and vegetables from her Dad’s garden. With a thirst to see the other side of the world, she traveled to the UK and lived there for ten years, exploring many different places, meeting lots of interesting and fascinating people. During her time abroad, she worked in many roles, including in aged care. On her journeys, she explored spirituality and meditation, and found these most rewarding and nurturing for her soul. 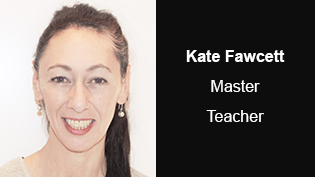 Over the years, Kate experienced a dramatic shift and an awakening of intuitive abilities. Her desire to learn and further her experience led her to Ashati. 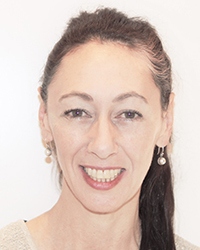 She soon after became a qualified accredited Ashati practitioner and teacher. Kate is passionate about her work. She feels that her purpose is to help people transform themselves, to ultimately live the life they have always wanted and deserve. Each course offered by the Ashati Institute is designed for people wishing to embark and progressively advance on an amazing and profoundly transformative journey. However, these energy healing / Reiki courses also provide comprehensive training in energy healing (incl. in Ashati and Reiki), whether this is for personal development, to help your children, friends and relatives, or to set up a successful professional practice (incl. becoming a Reiki practitioner). The cost of your program may be tax deductible if you choose to work professionally. Most modules (incl. Reiki 3) are also recognised by other professional associations worldwide, including the IICT (International Institute for Complementary Therapists) and the IARP (International Association of Reiki Professionals). Energy healing course + energy activation (also called energy attunement). Ashati 3 focuses on initiating a completely new level of personal development and spiritual ascension, opening the three chakras above the crown chakra and starting to reconnect the body and its conscious awareness to your own spirit (reaching the “spirit consciousness”). This level will also give you access to much higher and very powerful energies for healing, clearing, guidance and manifestation purposes. This course is centred on further healing and much deeper personal and spiritual development. It will give you access to sixth dimensional energies (most healing energies available today are from the fourth dimension, including Reiki, for example) and the ability to perform much stronger healings for yourself and others (new technique to complement your hands-on and distance healings), clear unwanted energies, balance chakras, perform a new level of psychic guidance, and much more. This third level opens up the chakras above your crown (outside your physical body), connects you to higher dimensional energies, and provides you with the energies, techniques and knowledge to become an Ashati Master. This energy activation greatly increases your potential to fast track and further your personal development. It is the start of the reconnection to the spirit and the gateway towards the much more advanced Ascension energy activations. It will also give you the ability to perform the Ashati 1, 2 and 3 energy activations for others, should you decide to also register for the ASHATI TEACHER course and receive the training and additional knowledge you need to become a registered Ashati Master-Teacher. After the energy activation and the creation of the bridge to your higher-self and to the soul light dimension, you will be able to connect to your spirit energy and this much higher dimension at will. This connection will create a deeper sense of relaxation and a new level of awareness. You will then be able to access and use a very powerful, unique and wide range of energy from the sixth dimension, and to manifest them in many different ways, from balancing chakras, performing a new level of psychic readings, clearing unnecessary energies and even healing the soul, mind and emotions, and much more. The Ashati 3 energies are to be used in addition to the Ashati 1 and Ashati 2 energies and their methods of healing and development. This level and its energy activation will help you develop your mind and psychic abilities even further. Alsemia 3 marks the start of a whole new level of energetic access, abilities and development, enabling you to tap into the energies of the sixth dimension for physical healing. The previous levels and their energy activations provided access to powerful healing energies for physical healing from within the fourth dimension, or astral dimension (just above the physical dimension in terms of vibration). Alsemia 3 enables you to tap into the vast range of vibration available within the sixth dimension, called the soul light dimension in the Ashati system. This is again for physical healing only (see Ashati 3 for complementary sixth dimensional energetic work on the emotional and mental levels). This dimension is above the fifth dimension, or soul dimension. This level of vibration is therefore much higher than most healing energies available to humanity (almost all of them are from within the astral dimension). The sixth dimensional range of energy you will be able to access through this energy activation and the easy techniques described in the manual will be used for further physical healing. In addition, these energies are especially powerful to perform quick and effective energy clearings (removing foreign energies from within your body and aura, someone else’s aura, a space, an object, etc. ), and to work on manifestation, at a whole new level. Furthermore, something unique to this system and specifically to this level, you will learn how to easily create energy vortexes. These gateways to a higher dimension can provide additional healing energies into a room, or help to keep a space clear of unnecessary foreign energies. As for any Alsemia energy activation, this level is also about raising your physical body’s vibration to a much higher level. This is part of physical ascension, the focus of Alsemia, which can have many positive effects in your life, and which will further develop your higher senses' potential (psychic potential). Reiki 3 course + energy activation (also called energy attunement). Energy healing course + energy activation. Ascension 1 is both an end and a beginning. This incredible transformation marks the end of the full reconnection to your spirit on the chakras’ level, and the beginning of a whole new journey over five stages of energetic ascension. These will develop this body-spirit connection and help you achieve an increasingly higher level of perspective as well as psychic and healing abilities. The Ascension levels are focused on personal and spiritual development through the complete energetic ascension process, over five stages and energy activations. The Ascension 21-day integration periods are often felt as much easier and gentler than for the previous Ashati levels. This first level energy activation will complete the full activation of your three higher chakras, located above your crown, as well as the elemental chakra, located below your feet (often also called “Earth star”). Your soul's higher-self (soul light body) and your spirit will be brought down from the sixth dimension to form two new energy bodies connected directly to the chakras above your head, which were activated during the Ashati 3 energy activation. Furthermore, the opening of the elemental chakra will change your etheric body's vibration, enabling you to hold more energy and to interact with the physical world from a new energetic level, which seems beneficial for health and manifestation. The Ascension levels are centred on creating deeper and permanent changes to the very structure of your chakras and energy bodies, enabling you to progressively increase your conscious connection to your spirit, and therefore your spirit abilities, higher senses, inner guidance, healing potential, etc. Ascension is often felt as a journey of simplification (within, and in your physical reality), a deeper knowing of your true nature, wants and desires, an increased awareness of your inner world and the world of energy around us, as well as increasingly stronger and more effective abilities to heal and to manifest what you truly desire and need. This first ascension energy activation will greatly raise the vibration of your being, develop your healing abilities and enable you to connect with your own inner knowledge and intuitive guidance much more easily and strongly. It will also enable you to develop a new level within your spirit consciousness. Distance energy healing course with energy activation (also called energy attunement). This course builds on and expands Ashati 3 by describing different techniques to safely, very easily and quickly remove entities from a space or around someone. It includes a symbol and a symbol-based method to more simply remove entities (especially great for beginners or people who still have difficulties sensing entities), as well as mediumship techniques to learn to do this work in a more conscious way, and to further the connection with the Ashati Guides, your guides and loved ones on the other side, for yourself or others. Just as importantly, it includes a chakra energy activation that will naturally expand your ability to sense non-physical souls. Crossing over entities involves healing work based on compassion. It is about helping souls that are lost and often confused, as well as the humans they energetically affect and who often suffer psychological or even physical symptoms from this energetic connection. This work is completely safe, empowering and very rewarding. On a more personal level, it will also give you the tools to make sure entities won’t affect you, your home and your loved ones anymore. Despite many people’s common fears about the unseen and the misunderstood, entities are simply “regular” souls trapped in the astral dimension (the dimension just above the physical world, in terms of energy frequency). The different types of entities and the various reasons for their being trapped rather than moving on to a higher dimension will be described in the manual. Entities are quite common, and many people will have a connection to an entity at some stage in their lifetime, often for a few days to a few years, regardless of whether or not they believe in their existence. These connections on the energy level, which will also be described in the manual, can really affect people’s health and lives, consciously or subconsciously. Removing an entity is a very powerful way to help a person heal and find peace and balance again. Entities connected to people are often complete “strangers” rather than the souls of people who knew them. They seem to “see” and get attracted to the people who share similar emotions, often repressed and therefore “stagnant” in the person’s energy field. In very general terms, a person with repressed anger will become more “visible” to entities carrying a lot of anger too. The similarity and the details of the feelings shared by both the host and the entity can be quite surprising in some cases. Entities are therefore less likely to connect with people who are healing themselves and who are removing repressed emotions from their aura and physical body. Working on yourself through energy healing is therefore one of the best forms of protection available against entities. You will receive a chakra energy activation to help you sense souls in the astral dimension more easily, for mediumship purposes (e.g. to connect with spirit guides or loved ones who have passed away), for soul rescue work, or both, depending on your preference. Indeed, you may already have a high level of connection to your higher senses (or psychic senses) and yet still find it difficult to scan for entities or to sense non-physical souls. This is often due to the fact that astral entities are in a “lower section” (or rather vibration) of the astral dimension and that you need to be able to expand your higher senses to reach this level. The activation will significantly help you towards this goal. Your abilities to sense astral souls will however need to be developed further through practise. While most people notice a difference in their senses after the activation, some will develop this over the 21-days to follow and with more practise. This ability ultimately depends on many factors, including your level of spiritual development, your sensitivity to energy and the existence and effects of repressed emotions or limiting beliefs. Unlike the Alsemia and Ashati energy activations, this energy activation, unique to this course, does not give access to healing energies. It is however strongly recommended to perform daily Ashati self-healings during this entire 21-day period of integration after the energy activation. This course also covers basic mediumship techniques in order to help you more easily and consciously connect with spirit guides, Ashati guides and other souls for healing work or spiritual guidance, to complement your psychic development or to potentially offer mediumship readings. Removing an entity with these techniques and the Ashati 3 energies is extremely quick and effective. The healing effects on the people affected by an entity connection are instantaneous and can be felt quite strongly at times. Many people suffering from mild to severe symptoms have seen amazing and sometimes miracle-like (unexplained by science) improvements in their health and psychological well-being right after a clearing session, which only takes moments. Soul Rescue is therefore a whole new aspect and extension of healing and personal development, helping both souls trapped in the astral dimension and the people affected by them. Three main techniques of entity removal are described in the manual, from the simple use of a powerful symbol to do this work for you (ideal if you have difficulty sensing entities, or if you simply don’t want to connect with them), to the process of crossing over the soul, going with them and witnessing their transformation and their reconnection with loved ones on the other side, which can provide amazing energetic sensations and emotions, and which will help you better understand the connection between the two worlds. Distance energy healing course with 9 energy activations (also called energy attunements). Kundalini is a Sanskrit word for the powerful creative force in the human body which for most people lies dormant at the base of their spine. It also refers to an energetic state in which certain energy channels and chakras have been opened, thereby gaining access to the Earth's energy. The base chakra, an energy centre located near the coccyx, serves as the entrance for the kundalini energy (also known as the "kundalini fire"). Upon entering the body, the energy runs along the main energy channel, before exiting through the crown chakra. With an open kundalini, a complete cleansing of the chakras, energy channels and some body parts will be obtained over a certain period of time. In Hindu mythology, kundalini is symbolically represented as a serpent goddess who lies asleep at the base of the spine, coiled three and a half times around the first chakra. Her name is Kundalini Shakti, and she represents the unfolding of the divine Shakti energy, the energising potential of life itself, a living goddess who enlivens all things. Kundalini Reiki is a very straightforward healing system which does not require the use of complex techniques, and which can therefore easily complement Ashati and Reiki. A series of three energy activations and six boosters are given in order to open and strengthen the energy channels of your body, enabling specific energy to flow through you, and helping to cleanse your body from energy blockages. This system will prepare your body for the kundalini awakening, and it will also give you access to a range of vibration similar to the kundalini energy (especially for etheric and physical healing) that you will be able to channel alongside Reiki, Ashati and any other energy you have been activated to, for healing purposes. Kundalini Yoga masters can spend years to reach a full Kundalini Awakening. These Kundalini energy activations will enable your body to be ready for these energies within weeks only. The Kundalini Reiki integration period is only 7 days. Therefore unlike the other energy activations, you will only need to wait at least 7 days between each level. During the first attunement, the healing channels are opened to the Kundalini Reiki energy. At the same time, the body is prepared for the kundalini awakening. The crown, heart and hand chakras are opened and strengthened. You will learn how to perform a Kundalini Reiki healing, in person and over distance. At this level, a partial kundalini awakening takes place. The channels are strengthened, and the main energy channel is opened safely. As a result, the kundalini fire can now travel from the base chakra to the solar plexus chakra, preparing the way for a full kundalini awakening in the next level. You also become able to channel a wider range of Kundalini Reiki healing energy. You will learn a meditation which will increase the power of the kundalini fire. The throat, solar plexus, sacral and base chakras are opened and strengthened. The kundalini fire is also strengthened and can now flow up to and out of the crown chakra (when a full rising of the Kundalini is ready to occur). You also get access to the full range of Kundalini Reiki energy. You will learn how to attune others as well as crystals so that they may act as energy channels. This level will enable you to pass on to others the levels 1, 2 and 3 energy activations. There are 6 additional energy activation boosters, which you can pass on to others once you have received them. The Kundalini Reiki boosters strengthen and increase your energy channels, to allow even greater amounts of Kundalini Reiki to flow through (and all other healing energies you have been activated to). Whilst this advanced level in Seichem will enable you to pass on the Seichem 1, 2 and 3 energy activations, Seichem 3 it is not just for those who are interested in teaching energy healing. It will give you access to the full range of vibration within Seichem and its three elemental energies, therefore amplifying the strength and the potential of your healings for yourself and others. This Seichem 3 course will also reveal the remaining sacred symbols (some common to Reiki). Seichem 2 and Reiki 3 are required before. The Golden Dragon 2 level represents the official teacher training and includes information about the second symbol and how to perform energy activations (attunements) to the Golden Dragon level 1 and 2 energies. This Golden Dragon 2 energy activation is much stronger than level 1 and will further increase your grounding, healing abilities and psychic potential. Reiki 3, Seichem 3 and Golden Dragon 1 required before.